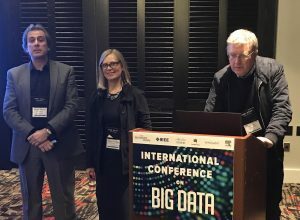 The 2nd Computational Archival Science (CAS) workshop was held at IEEE Big Data 2017 in Boston on Dec. 13. 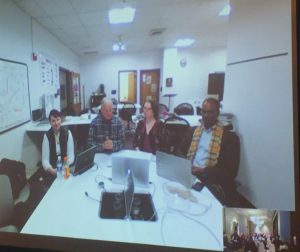 See: http://dcicblog.umd.edu/cas/ieee_big_data_2017_cas-workshop/ for a list of computational methods and archival concepts associated with each of the presentations. 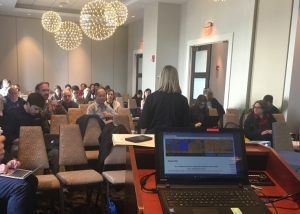 25 UMD iSchool students on talks/papers and panels on new CAS curricula development! Students: LEFT TO RIGHT — Jennifer Proctor, Claire McDonald , Will Thomas discussed educational takeaways, and methods for incorporating CAS into the Master’s of Library and Information Science (MLIS) in order to better address the needs of today’s MLIS graduates looking to employ both ‘traditional’ archival principles in conjunction with computational methods. 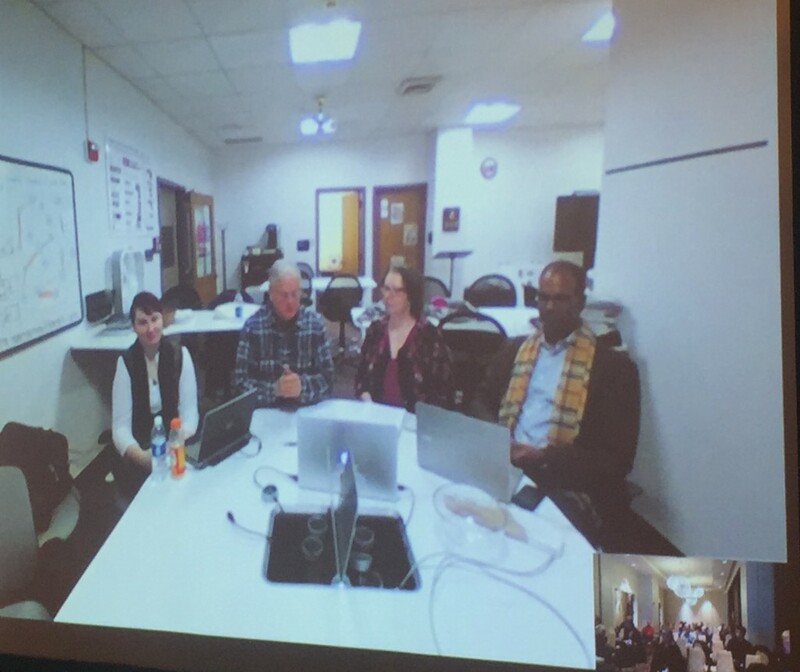 They represented the seven graduate students at the U. Maryland iSchool who participated in the fall 2017 seminar exploring the eight case studies proposed in the 2017 Foundational Paper: “Archival records and training in the Age of Big Data”, Marciano, Lemieux, Hedges, Esteva, Underwood, Kurtz, Conrad, LINK, to be published in May 2018 in “Advances in Librarianship – Re-Envisioning the MLIS: Perspectives on the Future of Library and Information Science Education”, Editors: Lindsay C. Sarin, Johnna Percell, Paul T. Jaeger, & John Carlo Bertot. Greg showcased the next phase of DRAS-TIC software development and scalability testing. 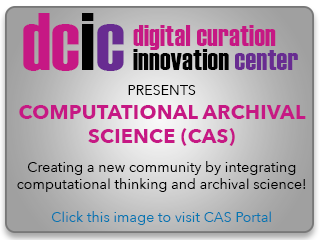 Digital Repository At Scale — That Invites Computation (DRAS-TIC) Funded through the NSF Brown Dog project (see:https://www.cni.org/topics/digital-curation/drastic-measures-digital-repository-at-scale-that-invites-computation-to-improve-collections). The next phase of DRAS-TIC development was funded by a two-year grant from the IMLS as the “DRAS-TIC Fedora” project. This will see our horizontal scaling NoSQL digital repository grow to support the Linked Data Platform and Memento APIs for versioned linked data. We aim to meet these stringent LDP requirements and continue to support distributed compute on the Cassandra back-end.